Speaking of Debbie Reynolds, her daughter, the late, great queer icon Carrie Fisher, penned the script for this uproarious comedy from director Mike Nichols. 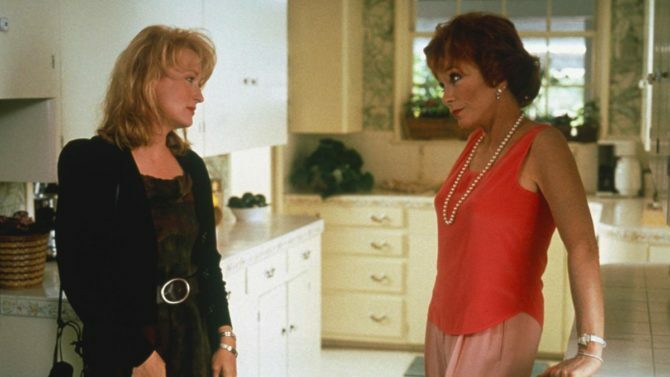 Meryl Streep and Shirley MacLaine star as a pair of mother-daughter actresses loosely based on Fisher and Reynolds. The two fight, argue and drive each other nuts, even as they both struggle with the pain of addiction. Streep has never been better (which is saying something), and MacLaine has a show-stopping musical number that must be seen to be believed. That Fisher’s dialogue crackles with the kind of witty zingers that made her famous, only adds to the enjoyment.